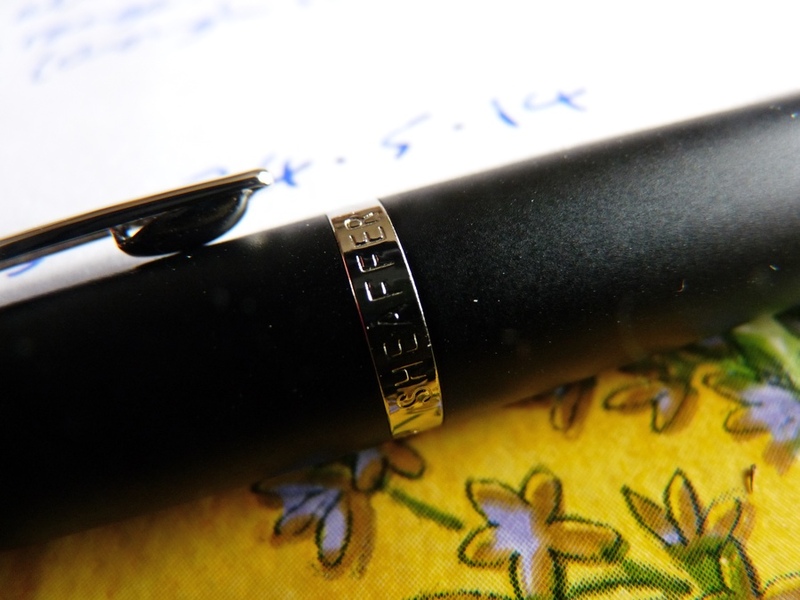 Sheaffer VFM fountain pen review – Pens! Paper! Pencils! 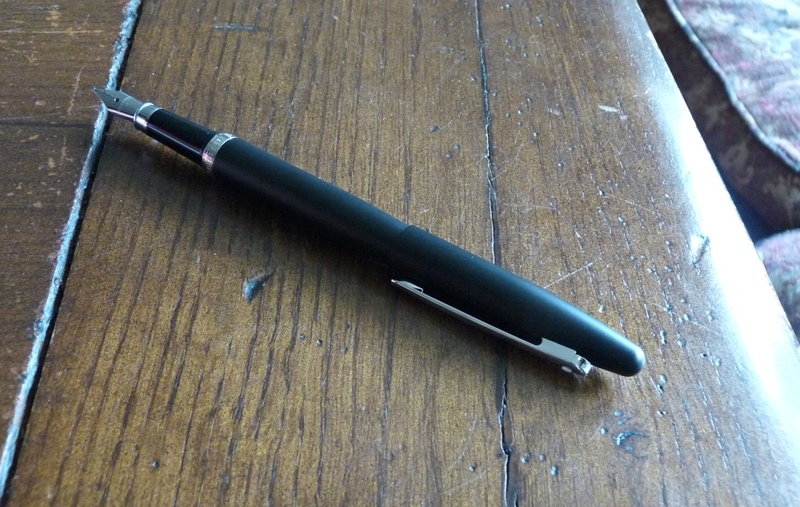 The Sheaffer VFM is a low cost pen with a metal barrel and plastic section. 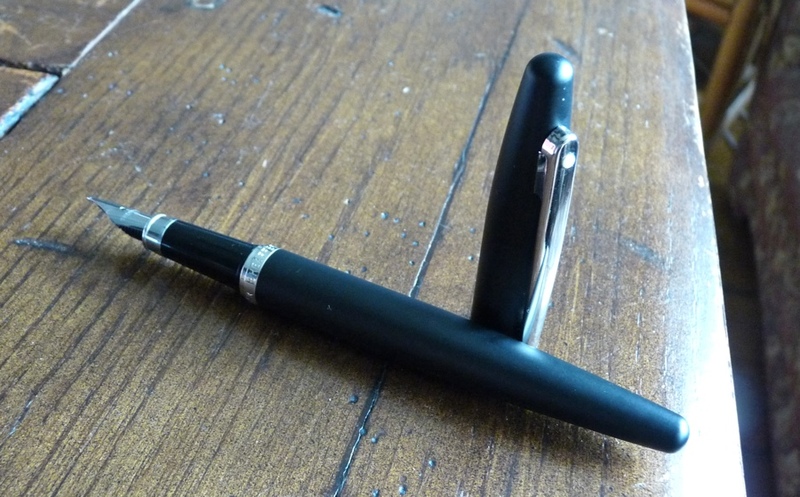 VFM stands for ‘Vibrant, Fun and Modern’ but that applies more to the other colours this pen is available in than this rather stately and classic looking matt black version. The build quality is absolutely fantastic. It’s a very solidly put together pen. It’s quite small but it has a reassuring weight and is comfortable to use unposted, even in my chunky mitts. If you are a poster then you’ll be pleased to read that this pen posts rather reliably. The clip is quite stiff so (a) it won’t unclip accidentally and (b) it may be rather hard to clip onto anything flimsy or thick. The nib is excellent for such a cheap pen. Unfortunately it’s only available with a medium nib but it’s a good smooth writing and easy flowing one. There isn’t a lot of room in the barrel so you’ll struggle to find a converter that fits. 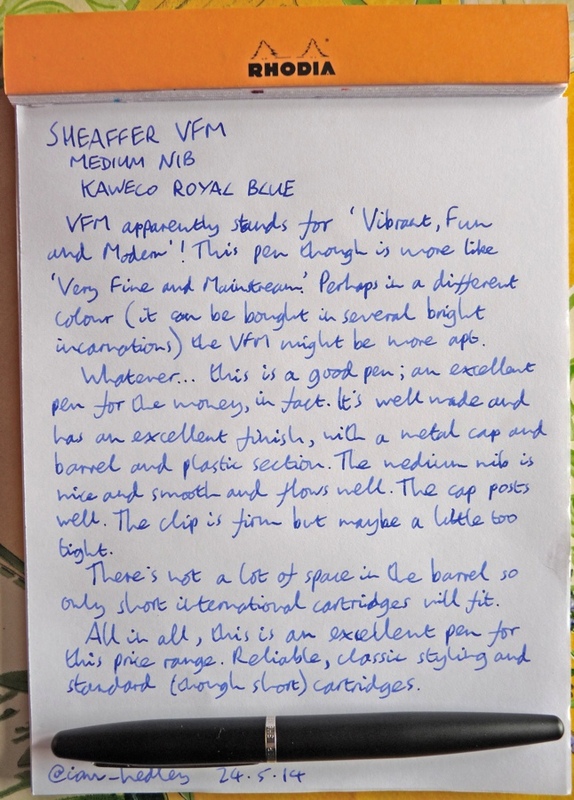 Fortunately the Sheaffer VFM takes standard international short cartridges so there is a huge range available. However it is a shame that you can’t wedge a converter in. 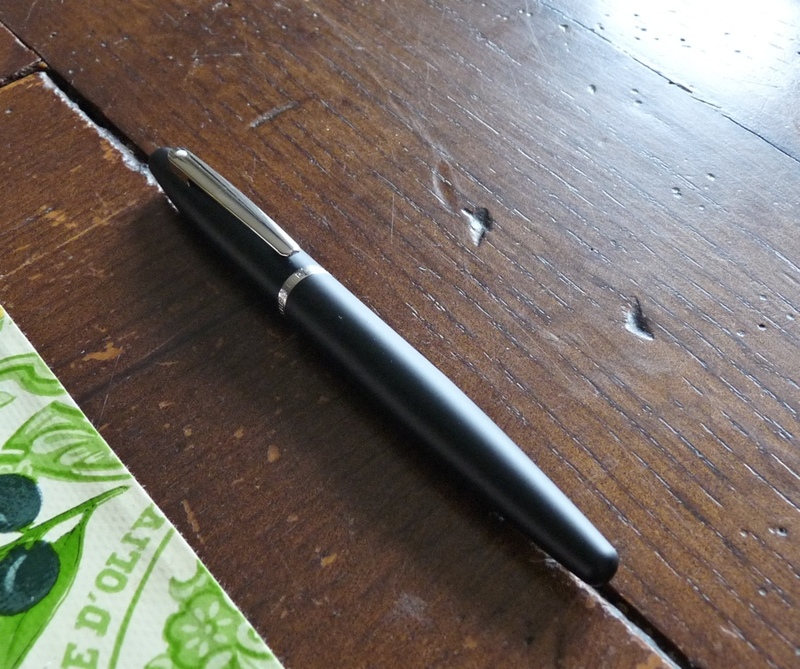 This is a very good pen for the price and a pretty good pen at any price. This pen was sent to me free of charge by Ross of Pure Pens. I haven’t let that influence this review. Check back here tomorrow for an interview with Ross and a chance to win this pen! Whtat is the difference for the Pilot Metropolitan? I think the Pilot nib is beter. Hi Carlos. 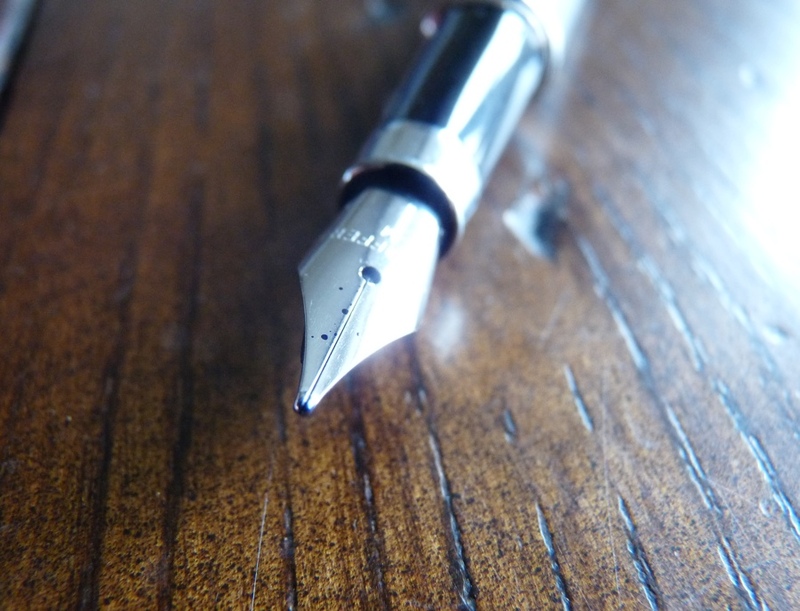 This Sheaffer nib is plenty good enough but yes the Pilot nib is better. Both are good pens. 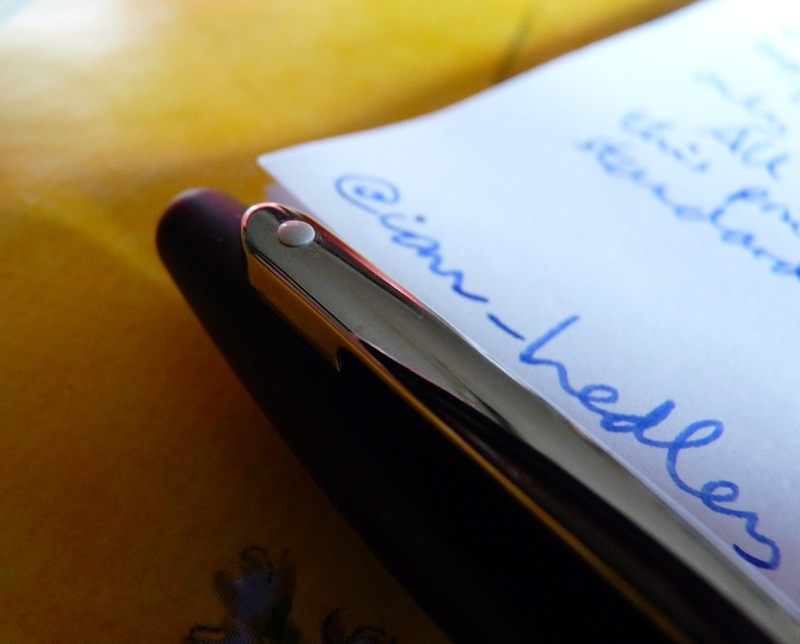 I agree, I would like to know the difference (maybe a comparison review) of the Sheaffer VFM and the Pilot Metropolitan. Great review! I’v heard it said that the converter for a Kaweco Mini Sport will fit. I wish someone sold multi-packs of cartridges (i.e. one each of several different colors). Nice little pen though!